Since our inception, we have been providing forage seeds throughout the Americas and the rest of the world. We have increasingly focused on improved cultivars that are bred to produce more tonnage, withstand intensive grazing, and offer higher feed value and improved digestibility. In addition to being a strong supplier of public varieties, we have put our focus on bringing to market cool season grasses, legumes, and brassicas that are of the highest quality and value to farmers. You'll find a wealth of information including test results, planting instructions, variety descriptions and links to many how-to resources on our site. Also, be sure to visit Pasture Perfect® where you can learn about our best forage mixes! An excellent choice for the dairyman, beef farmer or hay producer. A full season forage. Great for overseeding. High yields. Forage brassicas are fast-growing annual crops that are highly productive and digestible. 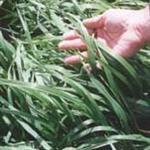 A very palatable, broad leafed grazing grass with good winter tolerance and disease/drought resistance. High quality forage for beef and dairymen. Can also be utilized as winter cover crop. New varieties combine high yield and high feed value. 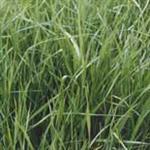 A cross between meadow fescue and perennial ryegrass. One of the most popular and useful forages. Excellent for hay and grazing. 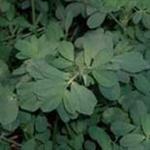 Forage mixes formulated for specific regions and climates. High yields, early maturity, winter hardy. For the serious forage producer. Superior leaf-to-stem ratio, quick re-growth, full season production. Information on how to grow a perfect pasture, conduct your own forage trials, and manage your horse pastures, along with forage newsletters full of practical information.